Unless you’ve been living under a rock (or in front of a television watching World Cup), you’ve most likely heard about Zillow’s new “Coming Soon” feature and/or that Trulia is reportedly in talks to purchase realtor.com operator Move Inc. Critics and proponents have made their voices heard wherever they can as we find ourselves in what has become the new norm for this industry. Major initiatives are rumoured or announced, and depending on whom you ask, it’s a blessing or a curse. It’s the hot topic before things cool down and we move on to discuss the next new amazing tool for consumers/assault on the fabric of the real estate industry. Are the end times upon us? No. 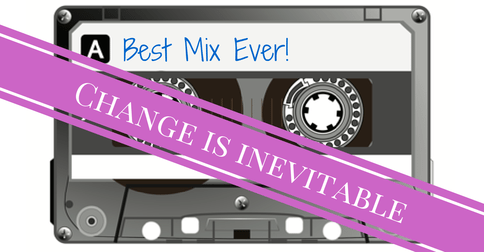 It boils down to one constant — change — and one universal truth: Most people don’t like change. Remember when things were simpler? No tweets, Pinterest boards, electronic signatures, IDX, Trulia, mobile or tablet worries, Zillow — just real estate agents, their book of listings, a trusted base of clients, door knocking, cold calling the phone book, and placing classified ads in newspapers? To listen to some, this was a time of peace and tranquility. Sellers always got the highest and best price for their property; buyers were always treated with respect and secured the optimal property for themselves; and, above all, real estate agents always put the needs of those clients first. However, as is often the case, nostalgia has polished up those rough edges. To paraphrase Red in “The Shawshank Redemption,” “I wish I could tell you that real estate buyers and sellers fought the good fight, and the real estate agents let them be. I wish I could tell you that, but real estate is no fairy-tale world.” Wherever there are human beings, there will be human beings falling victim to the temptations of greed, self-interest, pride and the like. There are agents who do business ethically and professionally, and there are others who have chosen otherwise. Yes, we as professionals need to do a much better job improving the state of the real estate industry and the professionalism of those who work within it. Yes, many bad apples are out there spoiling the bunch. However, as business changes and local MLS systems become regional MLS systems, the licensing process remains stagnant. Prospective agents enroll in a course, receive a book roughly the size of “War and Peace,” and then spend the next year learning how to calculate mortgages and not find themselves in a lawsuit — unless they pay extra for an accelerated course where they do all of that in six to eight weeks. What these new agents do not usually learn is how to be a professional real estate agent. A test is prepped for, passed, and they’re off to find a brokerage. In an industry where it’s commonplace to find 20-30 percent of agents within a local board of real estate who do not sell a single property in a year — all the while continuing to pay board and MLS fees — do you expect the licensing standards to be raised, reducing that income? Of course not. As a result, we at a brand/brokerage/agent level are in charge of our destinies, and it is up to the good apples to do all they can to lead by example and be able to communicate their value proposition effectively. Over the last 10-15 years, the overriding direction of the real estate client/agent relationship has reflected the changes that technology has brought to civilization in general — the empowerment of consumers in the information age. Real estate is often the most expensive investment a person will make in their lifetime, so it stands to reason that clients will want to do their due diligence, as well as benefit from your advice and expertise. I would propose that pop culture has fanned those flames, as the television landscape is littered with shows where the objective is to find the best deal, secure the biggest profit when you flip the property or to find the diamond in the rough. Let’s be honest: There is a large percentage of real estate agents whose idea of professional service to a buyer is an MLS search based on the criteria they bothered to ask that client about. The search is then printed out, given to the clients with a note asking which properties they’d like to see. If that’s you as an agent, then the public-facing MLS most likely put you out of the industry. Consumers now pour over real estate portals, public records and blogs as they look for their perfect property. Many of the most professional and successful agents I’ve worked with have had a philosophy that their role in the real estate industry is to educate their clients as to the process of homebuying and selling, as well as the market that they intend to sell/buy within. The trend of consumers beginning the process better educated can only be a plus, and if they’re mistaken in their thinking, then you get a nice invitation to show that client why they should hire a full-time, professional agent. What do we as an industry owe these consumers? Is locking away the data behind a gate again providing the best service to them? I see websites every day at the brokerage and agent levels promising that visitors will be able to see or be notified of listings “before they hit the MLS” — is Zillow’s “Coming Soon” much different? Many agents accept pocket listings, or if not that, they will speak about their new properties about to hit the market at an office sales meeting in hopes that another agent might have a buyer for that home. Sellers will ask specifically if that agent might have some potential buyers for that property at the time of the listing appointment, or the agent may offer that information independently. This new technology simply opens up these conversations to new audiences, shining the light of a public-facing portal on these pre-MLS or off-MLS properties. Are critics concerned about their clients or their ability to double-end those pocket transactions? Good and bad apples, remember? As a professional, you owe it to your clients to act in their best interests, by the letter of the laws and guidelines of your licensure. Along the way, the cream of the crop does so with a concierge level of service and in a manner that differentiates them from their competitors. If you’re working with a seller, you want the maximum exposure possible for that listing, and this is just the newest way that a company has figured out how to market to that desire. Critics cry out that selling a property outside of the MLS on average results in that client accepting a reduced sales price — it’s up to those critics to communicate that information to their sellers, especially when a recent study found that 50 percent of real estate transactions took place outside of the MLS. Much like inaccurate pricing estimates from third-party listing portals — which give agents an opportunity to differentiate themselves by providing thorough and accurate information — these “Coming Soon” initiatives should be seen as an opportunity. Pricing, photos, remarks, etc., can all be examined prior to loading that listing in the MLS and clicking “submit” based on the responses from this platform, and it gets more eyes on that property. The caveat? You must ensure that you’re following the guidelines set forth by your real estate board, and if those guidelines prohibit this sort of activity, you should be mindful of that. No means no. Change will continue to come about due to new technology, board and MLS consolidation, mergers and the competitive nature of this business. These new innovations are not threats if you’re being proactive rather than reactive. Remember, it’s much more difficult for the industry to throw you a curve ball if you’re already ahead of that curve. Bret Calltharp works as business development specialist for the Metro Vancouver Properties Group, a 10-office Re/Max franchise in Vancouver, British Columbia. You can connect with him on Google Plus, Twitter (@remaxjedi) or by email at bret@metrovp.ca.